Two new heroes were announced for Dota 2 : Grimstroke and Mars. Little is known about the latter, except that they come "ready for war" later this year, Grimstroke is now playable thanks to the latest update. "Grimstroke was chosen to serve as the mysterious guardian of his people, and instead was responsible for their eternal corruption," reads the official Dota 2 website . "Trapped in his torment as treacherous revenants, his former kinship cast cruel shadows upon what might have been, but the sacrifice brought Grimstroke with great power, and he considers it a well-paid prize." 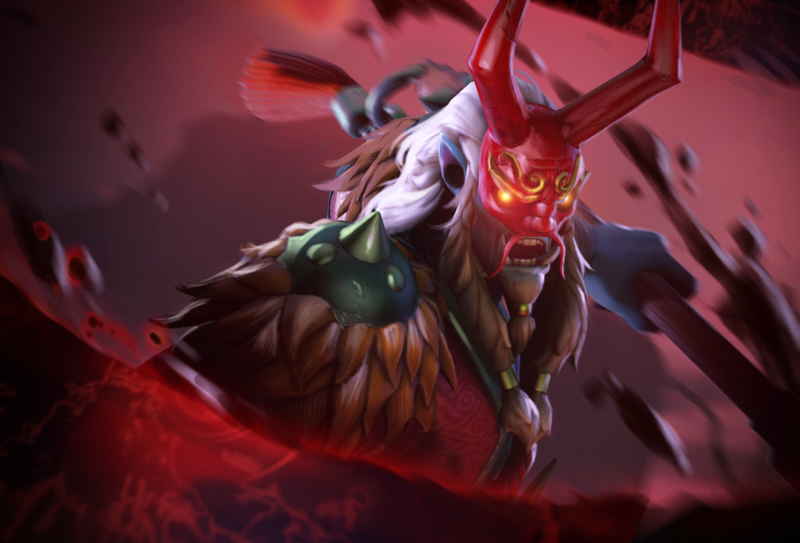 Grimstroke's skills include: "Stroke of Fate," which uses his paintbrush to draw an ink path that damages and slows enemies in its wake; Phantom's hug, commanded by a phantom, to tie itself to its enemy, damage it and silence it; Ink swelling covering Grimstroke or an ally in ink, silencing the target while granting bonus speed and immunity to attack; and Soul Binding, which connects a hostile hero with his closest allied hero within reach, preventing anyone from moving away from the other. To learn more about all things Grimstroke, including his suitably gloomy (sorry) backstory, go to the official character page .